Dr. Jerrold Ellner together with Dr. Edward Jones-Lopez, apply epidemiologic methods to understand the determinants of M. tuberculosis transmission, infection and disease, using a multidisciplinary research approach. Much of their clinical work is conduced in Brazil and Uganda. Their combined research programs bring considerable expertise to the BU-TPID in international and translational aspects of inflammatory disorders. They have extensive experience in the design, implementation and oversight of large, international collaborative research projects. Dr. Jones-Lopez was recently appointed as an Evans Educator at the Department of Medicine at Boston Medical Center, Boston University Medical School, where he will be leading an international elective for house staff and fellows. Trainees will be co-mentored by Drs. Ellner and Jones-Lopez in epidemiologic methods, study design and clinical studies. 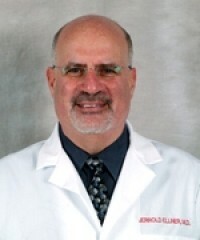 Dr. Ellner has had extensive experience in training physician-scientists in clinical and translational research. For the past 10 years he has continued to develop multidisciplinary clinical and translational research programs at international sites and to mentor junior faculty. His role in this training program will be to engage trainees according to their interest in clinical and translational research on inflammatory and immune response to infectious agents at international sites. While he will have a co-mentorship role together with Dr. Jones-Lopez, he will largely participate through mentoring faculty and advising Dr. Genco as relates to training of physician-scientists.